The Washington Post did a grave disservice by utterly ignoring studies that clearly demonstrate the harm mascotting causes. Last Thursday, The Washington Post published a poll on its front page that found that 90 percent of “Native Americans” were “not bothered” by the dictionary-defined ethnic slur “Redskins,” sending shock waves through the sports world and Indian Country. That slur, of course, is also the name of the local NFL franchise that the Post covers. This article is part of the Edge of Sports series, an ongoing effort to publish new writers on the intersection of sports and politics. To get this number, the Post’s polling team questioned 504 self-identified Native Americans from all 50 states. Given that I have 50 first cousins who are enrolled in the Navajo and Yankton Dakota Sioux Nations, none of whom likes the team name, I found the results to be curious. When I looked more closely at the methodology of the poll, I was appalled. First and foremost, the Post states clearly that they did not verify the actual Native American identity or tribal enrollment of its respondents. Unlike most “minorities,” non-Native Americans have often declared themselves Native American with little or no factual evidence or cultural connection whatsoever. Furthermore, 56 percent of those asked said they were not part of any tribal nation or could not name what tribe their ancestors claimed. Imagine asking 500 white Americans for an opinion about Europe and not caring that more than half had no connection to their ancestors’ place of origin. We see little reason to suspect respondents would intentionally misreport their racial identity or tribal status to a confidential survey. The overall poll results suggest respondents understood a distinction between racial identification and tribal membership, given that a majority of self-identified Native Americans said they were not enrolled. 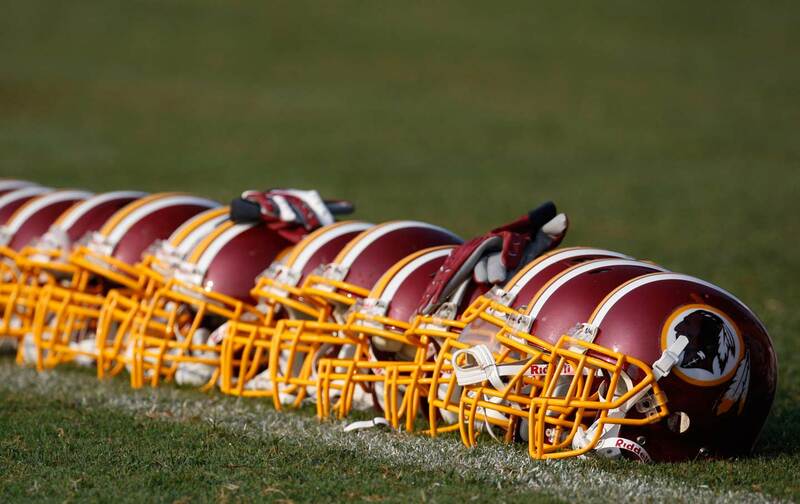 The substantive questions about the team’s name came at the end of polls on other subjects and after survey respondents already had self-identified, leaving no motive (or even opportunity) for individuals to self-identify as Native American when they learned that the questions would center on the team’s name. Leaving aside the issues of “self-identification,” there is also a problem with demographics. More than half, 274, were over the age of 50. Native Americans have a median age of 26—nearly 10 years younger than the general American population. The Post claims that they “weighted” the results to make sure that those over 50 were given just 39 percent of the voice. But even with “weighting,” by speaking primarily to people over 50—and then including their quotes in the piece as representative of the survey—the Post presented an inaccurate portrait of who we are as a people. Male respondents also outnumbered female ones, which was quite a feat as Native American men have the highest mortality rates in the country. I remember when my dad was in his 50s and he went back to his reservation in South Dakota and was shocked to realize he was the only Yankton Dakota man left from his high-school class. But not polling this segment of the population means the results exclude the Native American students who attend the 2,000 high schools in this country that mascot Native Americans. The White House Initiative on American Indian and Alaska Native Education report [PDF] recounts firsthand experiences of Native youth facing discrimination in their learning environment caused by mascotting. Even if the poll was conducted perfectly and even if the results had been completely reversed, The Washington Post did a grave disservice by utterly ignoring studies that clearly demonstrate the harm mascotting causes to Native youth—the most vulnerable population in the country by almost any statistic. Our young people have a rate of suicide 2.5 times higher than average. According to the American Psychological Association, which has called for the ending of the practice of mascotting, Native youth suffer measurably lower self-esteem after exposure to a Native American mascot. It also found that Native respondents who claim to be okay with Native mascots actually experience a greater drop in self-esteem. This finding is particularly relevant to the Washington Post poll, which has been widely interpreted as proof that there’s no harm in using the slur for a $2 billion NFL franchise in the nation’s capital. On Friday the Native American Journalist Association in conjunction with UNITY: Journalists of Diversity issued a statement criticizing the poll for violating the tenet to “minimize harm” in reporting. The reporters and editors behind this story must have known that it would be used as justification for the continued use of these harmful, racist mascots. They were either willfully malicious or dangerously naïve in the process and reporting used in this story, and neither is acceptable from any journalistic institution…. It is NAJA’s position that journalism should only be practiced when it is in the interest of public enlightenment and democracy, and should never be used as a tool of racial oppression or corporate cheerleading. But is this really customary? Are pollsters judging the “breadth and depth” of how offensive other dictionary-defined slurs are? Tragically, it is only Native Americans who have to suffer this kind of humiliation, especially when the multibillion-dollar brand of the paper’s local football team hangs in the balance. Jacqueline KeelerTwitterJacqueline Keeler is a Navajo/Yankton Dakota Sioux writer living in Portland, Oregon and co-founder of Eradicating Offensive Native Mascotry (creators of the hashtag #NotYourMascot). She is finishing a collection of essays called Not Your Disappearing Indian and editing an anthology of Native voices for Torrey House Press on preserving sacred lands.